Peel small onions and leave them in the water until use. Heat oil in a pan,add cinnmon and clove.Once they splutter add small onions. Add ginger garlic paste and saute till the raw smell of ginger garlic paste is lost. Then add tomatoes,salt,turmeric powder,coriander and red chilly powder. Add 1/2 cup water and bring to boil. Reduce heat and cook until the gravy is thick. 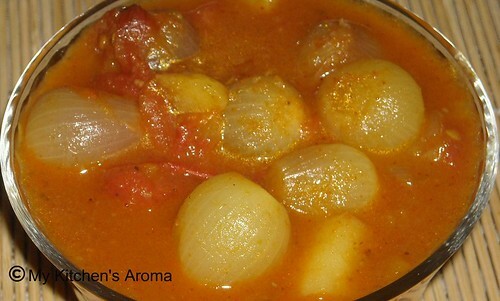 Never tried any dish with onions as the main ingredient. Loved the recipe. Simply delicious curry!! 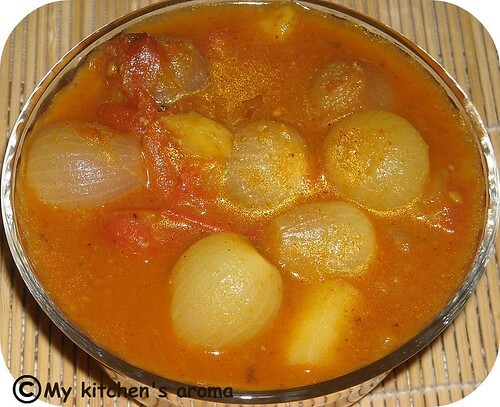 perfect with rice..
Nice gravy with small onions..